With just over $18 billion to his name, capitalism has been good to Ray Dalio: He started his hedge fund, Bridgewater Associates, out of a two-bedroom New York City apartment in 1975 and it now manages $160 billion in assets and is the largest hedge fund in the world, according to Forbes. Quite literally, Dalio has built a fortune thanks to capitalism. But he’s also keenly aware that it is a deeply flawed system. “Capitalism basically is not working for the majority of people. That’s just the reality,” Dalio said at the 2018 Summit conference in Los Angeles in November. Monday, Dalio tweeted a video of his Summit talk. Dalio made the comment about capitalism during a discussion about wealth inequality. And Dalio says the income gap will only get worse. In fact, Dalio said that the President of the United States should declare the current wealth gap a national emergency. Dalio is not the only billionaire to speak out about the problems with modern capitalism. Berkshire Hathaway CEO Warren Buffett, who is worth $81 billion according to Forbes, has said the problem with the economy is the extreme wealth of people like him. That’s not what’s currently happening according to the billionaires, and it worries Dalio. 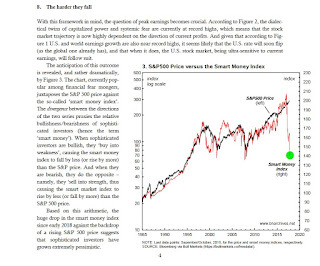 Ray Dalio and Warren Buffett are absolutely right, extreme wealth inequality represents the dark side of capitalism and unless it's addressed and treated as a national emergency, it will get worse and bring about more populism, cynicism and outrage from the restless masses. And Dalio is right, there are no common principles to tackle this pressing issue. I love the way she ends her article because it's common sense that asking people who are part of the problem to find solutions to the problem isn't going to get you anywhere. A billionaire asks a sneering question . . . I like Michael Dell, think he's an incredible entrepreneur but I wouldn't rely on him or any other billionaire to come up with sensible economic policies which are in the best interests of the masses and the overall economy. 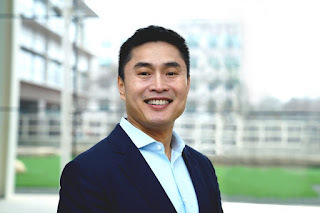 Last week, I hooked up with Geoffrey Briant, President & CEO of G2 Alternatives Advisory Corp., and Gordon Power, CEO of Earth Capital Partners, as they are in the process of fundraising for the new sustainable investing fund. We chatted about Davos and it's Gordon who sent me the second article above this weekend. 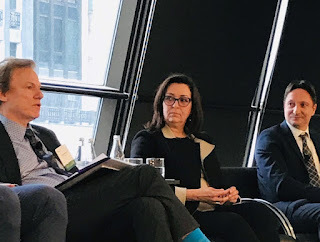 I raised the point that companies are always complaining they can't find skilled workers but very few are investing in training and retraining new and existing workers which defies all logic. 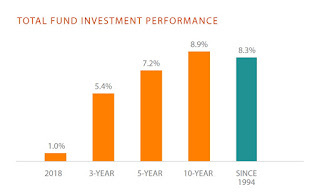 On LinkedIn, Geoff said Gordon was adding training and retraining to Earth Capital's dividend calculations and in my opinion, this should be part of a comprehensive ESG score that pensions and other large institutional investors use to measure the progress of public and private companies in their portfolios. Ask them flat out: "What are you doing to reduce inequality in general? And then more specifically, gender inequality, inequality among visible minorities, people with disabilities, etc.?" CBS News recently had a great segment on hiring people with autism which is one example of what I mean. It requires companies who look beyond mental and physical disabilities and focus on people's capabilities. If we are going to tackle rising and extreme inequality, however, we need a more comprehensive approach and we really need to understand its causes and its pervasive effects on our democracy. Go back to the first article above where she states: "Quite literally, Dalio has built a fortune thanks to capitalism." Really? Dalio and a few other elite hedge fund managers have built a fortune charging heavy duty fees to US and global public pensions, it has nothing to do with capitalism per se. Now, I don't agree with Phalippou's negative sentiments on hedge funds because he generalizes but if it was real capitalism, all of these guys wouldn't just close up shop to open a family office or restart under a different name, they'd have to first pay back their management fees and a portion of their losses to clients and then play the casino with whatever is left over. At the very least, on top of a high water mark, hedge funds should have a hurdle rate before they charge a penny of management fees, especially the big behemoths. The point I'm getting at is there are structural reasons as to why inequality is a growing problem and hedge fund capitalism is part of a larger problem of financial capitalism. The financialization of our economy has led to widespread and unsustainable inequality. Last week, I went for a follow up routine visit to my endocrinologist who cured my hyperthyroidism. We discussed Davos and Trump's tax cuts as he checked my vital signs and blood results and shared this with me: "The problem with today's billionaires and corporate multi-millionaires is if you give them tax cuts, all they're going to do is invest more in their hedge funds to earn returns on that money. The billionaire industrialists of the past used to invest in factories after receiving a tax cut and actually created jobs." It's not that simple but he made an excellent point, tax cuts which only exacerbate income and wealth inequality aren't worth it as they blow up the debt and deficit and ultimately weaken the long-term prospects of the economy. So, is the solution to rising inequality Elizabeth Warren's proposed ‘wealth tax’ on Americans with more than $50 million in assets? I hate stupidity. These people don't understand the problem, therefore, the solutions they propose are placing band-aids on a flesh wound. Leo, this is like someone telling you that your proposal for pensions is wrong. What we should do is cut the expenses for the dispersed pension plans by 7%. That will solve the issue in their eyes. Of course, this is proposed because the IMF has suggested it. The current system is unsustainable. No one wants to address the structural issues. Ergo, at one point in the not-too-distant future, it will collapse, as it always has. I am amazed by the elite and their schemes. They know that in the next crisis, they can't bail out the banks again because the public won't stand for it. Instead, they tell everyone there will be universal income for people. That is a scam. As you know Leo, the average person is so indebted that the universal income would go right back to the banks. The banks LOVE this proposal because it bails them out without the pitchforks. Your endocrinologist is absolutely correct. Now, why do hedge funds pay a different tax rate than everyone else? Why are assets taxed differently and have all kinds of tax incentives when compared to income. Because the 1% and the large corporations have BRIBED government to pass these laws in their favor. THAT is the problem. The larger focus has to be on the STRUCTURE of the economy. Historically, most nations have collapsed under their own weight of deflation, as the population loses faith in their leaders, hoard money (so they don't invest), and either move somewhere else, or if they are not capable of doing so, buy hard assets. This is what is happening to us. Now a few years ago, this would have sounded crazy. Today, you can see these trends evolving right in front of your eyes, and they are getting worse by the day. I could go on for pages, but I'll simply reiterate that Glass-Steagall must be reinstated. Banks must be returned to their function of funneling savings into PRODUCTIVE investment in the economy. Investing must be SEPARATED from banks so bank deposits CANNOT be used for investment. The investment houses cannot be allowed to rehypothecate 100 times (the problem today is DEBT is used as collateral to borrow money. Only in finance. Would you lend me money if I said I can back the loan with my car loan?). Government must have people with EXPERIENCE in the REAL economy to pass laws and make decisions. They are allowed one term (three years tops) and then OUT. The corruption must be stopped. Period. Government cannot be allowed to run continual deficits. PERIOD. For the last 60 years, the running deficits is equivalent to robbing people of their purchasing power. Wages stagnant and everything rising in cost because of government has led to the destruction of the middle class and threatens the fabric of the current society as we know it. I could go on to expound on these points but the email would be much, much longer. I'll stop there and leave you with this. One person I learned a great deal from, who's been a banker all his life, that was there when derivatives were born, and that has since retired and written some fantastic books is Satyajit Das. "When I'm alone at night and contemplate the current financial system that has been fabricated, I come to the realization that it is the greatest fiction ever created in the history of mankind." I don't share my friend's doomsday views or his views on reinstating Glass-Steagall or running deficits is bad (ever heard of MMT economics?) but he raises many good points on understanding the structure of the economy before trying to tackle inequality with dumb proposals. Recently, 1) the Fed wisely rolled back its plans to hike interest rates and to shrink its balance sheet and 2) Chinese negotiators made clear that they are willing to do a trade deal. These are good things that the markets reacted well to. At the same time, a) the wealth/opportunity gap is increasingly becoming manifest in b) increased populism of both the left and the right, which is leading to c) greater conflict both within and between countries and d) more extreme and worse decision making, which is especially risky when e) economic growth is weakening and f) central banks have limited capacity to ease, g) important elections are approaching, and h) the big geopolitical tensions arising from China emerging as a power that is challenging the US as the existing leading world power are intensifying. Over the next 2-3 years, this confluence of forces will come to a head and have big influences on markets, economies, societies, and world affairs (much as they did in the late 1930s). In my study of populism from March 2017 (located on www.economicprinciples.org), it became clear to me that populism and populist leaders typically follow a pretty standard path of steadily increasing conflict both within and between countries; for that reason, conflict was the thing that I wanted to monitor most closely to help us see what is likely to transpire. That’s why my great research assistants and I created “conflict gauges,” which I will share with you at another time. 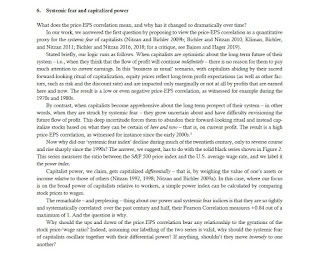 With this perspective in mind, it is important to keep in mind that the big questions of a) whether populists of the right (i.e., capitalists) or populists of the left (i.e., socialists) end up in control and b) whether or not their conflicts will adversely affect the operations of government, the economy, and international relations will largely be answered over the next 2-3 years because during that period the US, the UK, Italy, Spain, France, Germany, and the European Parliament either will or probably will have elections that will answer these questions. In the US, the roster of Democratic candidates and their policies are now beginning to emerge. We can now begin to see that the wealth gap issue will probably be the biggest issue of the election, and we can begin to see where the emerging candidates are on the spectrum of populism of the left (socialism) and populism of the right (capitalism). For example, we have recently seen the proposal for a 70% top marginal tax rate on incomes over $10 million floated by the 29-year-old new Rep. Alexandria Ocasio-Cortez, who represents parts of the Bronx and Queens in New York City, and we can see that the majority of Americans polled are in favor of it. We have also recently seen the proposal for a wealth tax of 2% on assets over $50 million and 3% on fortunes over $1 billion come from Sen. Elizabeth Warren, who represents Massachusetts; we don’t yet have polling results for this proposal, but my guess is that it will receive a similar reception. While we haven’t yet seen markets react to such news, because it is way too early to handicap the odds of who will be in control and what they will do, we know this will become increasingly apparent and then will be determined over the next two years, and we know these things will have big implications for capital flows, market valuations, economic conditions, and domestic and international relations. The same will be true in Europe, as the internal and external populist conflicts are intensifying at the same time as Europe is being economically held together by the thin thread of a central bank and a single currency, which is facing increased stress from some seemingly irreconcilable differences. More specifically, at the same time as wealth and ideological polarities within and between countries are intensifying due to the monetary union leaving some countries stuck in stagnation while others are getting richer, the ECB’s region-wide debt-buying program that held the currency together is becoming untenable because the mix of debt that the ECB has to buy in order to provide support for the euro is becoming of lower quality. That makes buying the debt increasingly objectionable to “Northern European” countries. This is happening at the same time as the Brexit precipice is approaching and important elections and political appointments will occur. While the US-China trade war appears to be negotiable, a geopolitical war over IP and how either to divide the world into agreed-upon spheres of influence (or to coexist in overlapping areas) is emerging with greater strength. This dispute is most immediately over where and how each country’s companies compete—especially the most important new technology companies (especially those in 5G, artificial intelligence chips, information/data management, and quantum computing). Rather than that being resolved soon, these economic and geopolitical disputes (e.g., over Taiwan’s reunification with mainland China) will be with us for decades to come. Still, it is hoped that enough can be agreed on so that a “trade deal” can be reached and the markets can celebrate at the end of the 90-day negotiating period. Time is on China’s side because they are growing and improving at a faster pace and because those in the US and Europe are their own worst enemies, so I would expect China to be relatively non-confrontational. If I had one wish for the Americans and Europeans, it would be for them to manage themselves well. In other words, China can sit and wait out Trump's term and deal with the next president, whoever he or she may be. Of course, if Trump gets re-elected, China will need to negotiate from a position of weakness as it's already feeling the pain of tariffs. 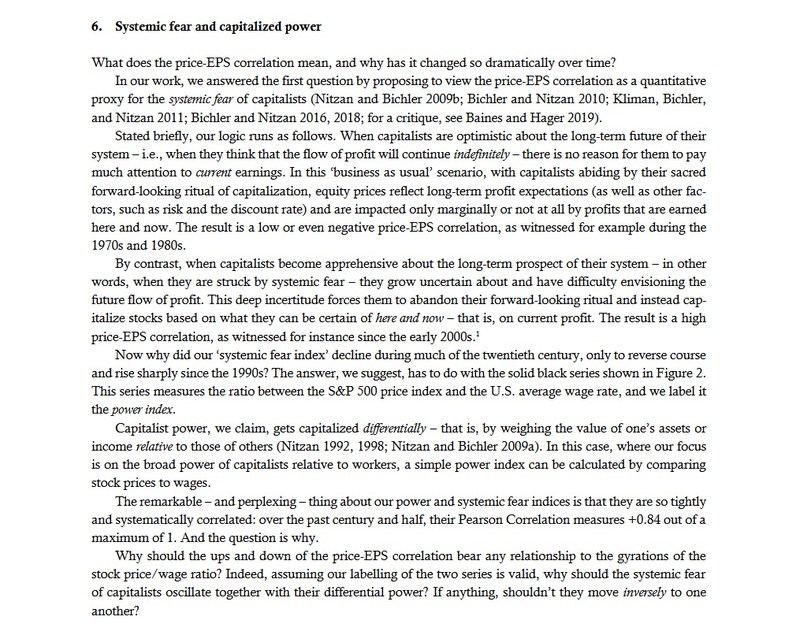 Before you dismiss this analysis as Marxist nonsense (that would be very silly), I remind you that before returning to academia, Jonathan Nitzan worked for many years at BCA Research and he is extremely familiar with markets but he and Shimshon are looking at markets from a much deeper perspective. You won't hear about them at Davos, they don't have the fame and fortune to attend this conference but their work on systemic fear and capitalized power shouldn't be dismissed, quite the opposite, intelligent investors like George Soros have embraced it. Lastly, make sure you read Noah Smith's Bloomberg article, Too Many Americans Will Never Be Able to Retire. I won't go over it here but it's part of the structural factors that lead to more inequality and a long period of debt deflation in my opinion. The same thing is going on in other developed countries but not to the same extent. 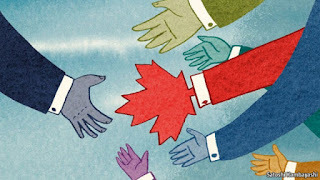 Still, even in Canada, a poll found the majority of baby boomers would opt for semi-retirement if employers only allowed it, which goes to show you there's quite a bit of retirement angst in our country where wealth disparities aren't as pronounced as in the US. 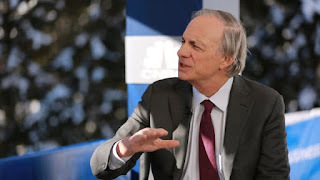 Below, Ray Dalio, founder of Bridgewater Associates, joined CNBC's "Squawk Box" at the World Economic Forum at Davos to discuss the state of the world economy, the role of the central bank, and the the upcoming 2020 election's impact on the economy. I also embedded an older (2017) clip where Ray discussed tax reform, the US economy and why the wealth gap is the issue of our time with FOX Business News's Maria Bartiromo. 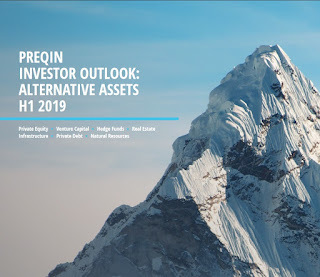 Ray's co-CIO, Greg Jensen, also discussed the current market structure and the firm's economic outlook, monetary policy, and earnings expectations. He spoke with Bloomberg's Erik Schatzker at the World Economic Forum's annual meeting in Davos, Switzerland, on "Bloomberg Surveillance." Lastly, in an interview that aired on CBS' "60 Minutes," former Starbucks CEO Howard Schultz said he was considering mounting an independent bid for president. Here's what three experts say about his chances. Watch the entire interview here. I think he's going to surprise a lot of people if he runs. Leo, I think your focus in this piece is misguided. Conventional economics associates income -- and therefore its distribution -- with factor productivity. This theory, formulated by J.B. Clark in 1899, remains dominant. Its main claim is that if the Dalios of this world earn 25,000 times the salary of their workers, it is only because they are 25,000 times more productive, and if society wants to reduce this inequality gap, it can do so only by making workers more productive. The problem with this 'modest proposal' is threefold. First, their claims to the contrary notwithstanding, economists do not know how to measure factor productivity, and therefore have no proof whatsoever that that this "productivity" correlates with income. Second, income does correlate, and rather tightly, with measured hierarchical power -- see the 2018 article of Blair Fix on 'The Trouble with Human Capital Theory' (http://bnarchives.yorku.ca/568/). 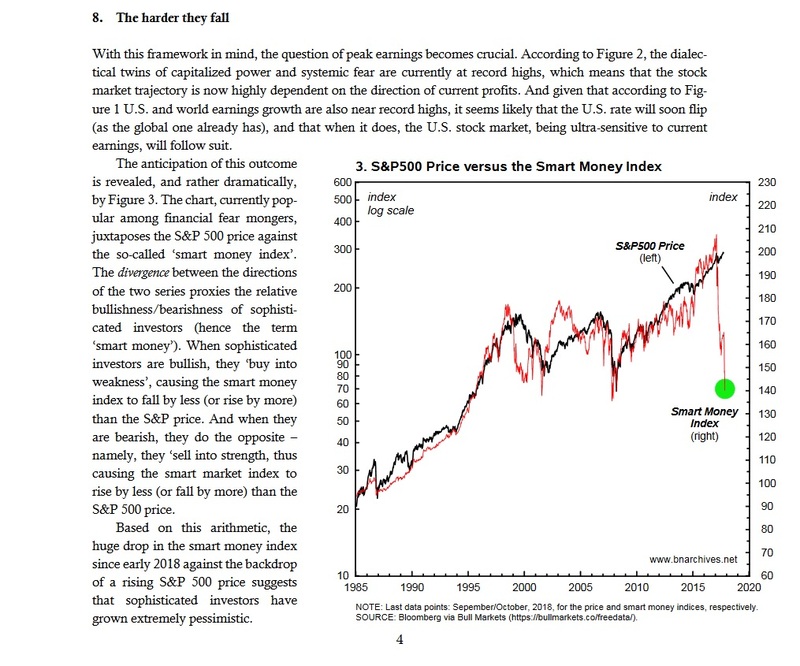 Third and finally, calls by "enlightened investors" to do something about growing inequality betray their built-in schizophrenia: on the one hand, their very quest for power forces them to increase income inequality without end, while, on the other hand, they realize that ultimately, this very process is bound to spell their own demise. I thank Jonathan for his wise insights on this topic and direct my readers to the Nitzan & Bichler archives here to read their latest research and previous research.